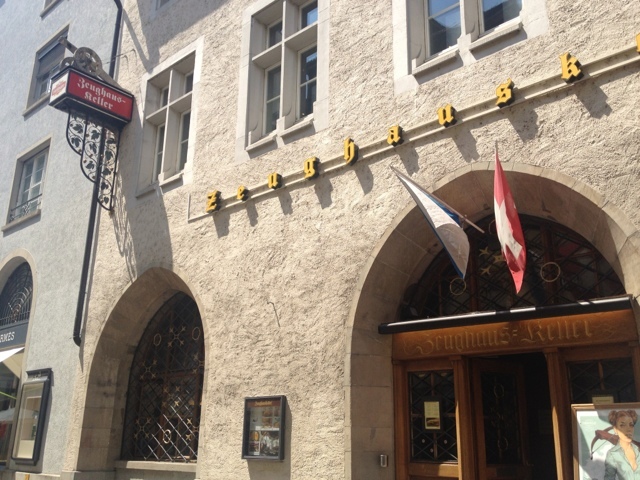 So I went to this beer hall in Zurich, Zeughauskeller, that was built in 1487 when it served as a storage for guns and ammo. 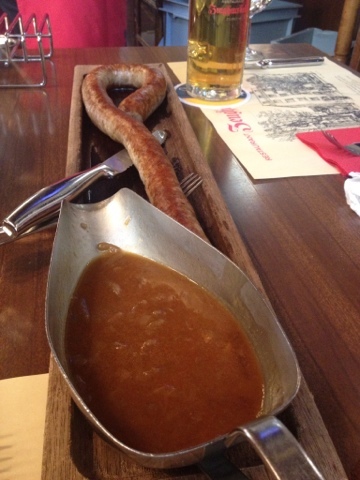 Today, it's a restaurant serving up jumbo sausages and beer with guns hanging on the walls. I began with an enormous goblet of beer with schnapps mixed in. 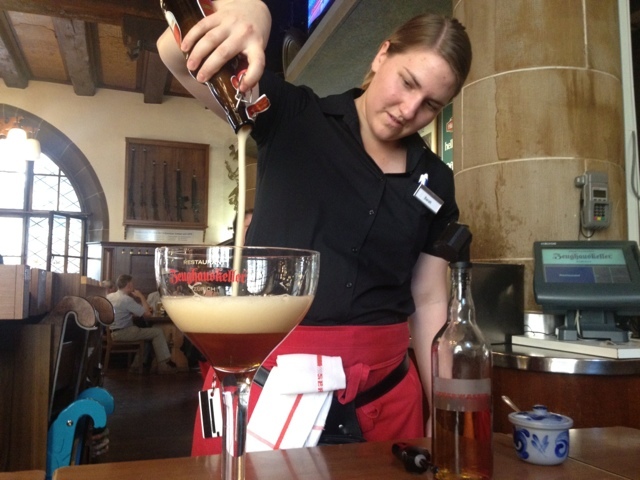 The waitress then lit the goblet on fire while table side, swirled it until the flame ceased, and garnished the final product with some wheat. It was potent and ridiculous. A delightful over the top lunch cocktail. The food was heavy and hearty. 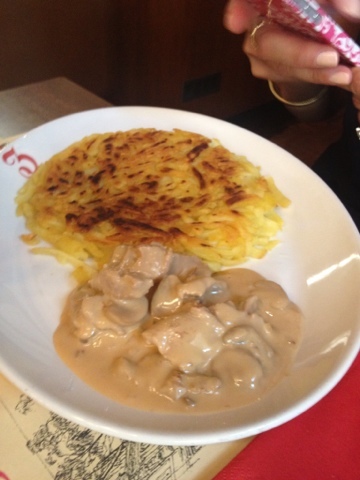 A plate of rösti, shredded potatoes fried in pancake form, was served with chunks of veal in gravy. Meat and potatoes is the epitome of comfort food! 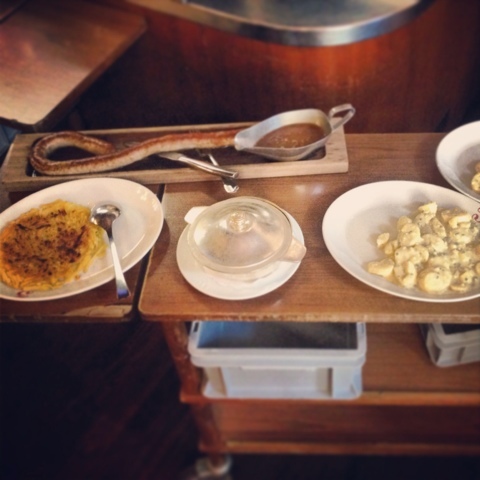 Next, a yard of sausage came to the table with a side of gravy with onions and a plate of potato salad. The combination was perfection.